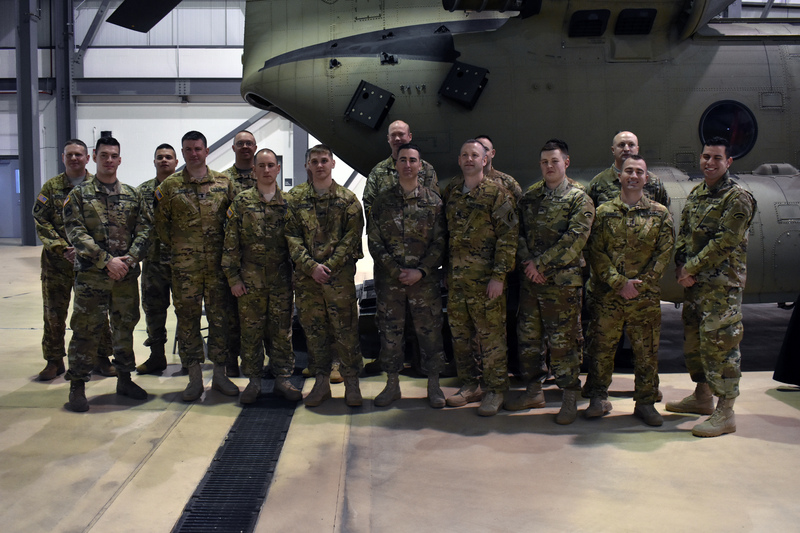 ROCHESTER -- New York Army National Guard Soldiers assigned to B Company 3rd Battalion of the 126th Aviation Regiment stand together following their Welcome Home Ceremony in Rochester, N.Y., Feb. 10, 2018. The CH-47 aviatiors returned home in November of 2017 from a nine month deployment. This was the first time the entire crew was back together since then.